“Photography should be an everyday thing” and “the camera must be so easy to handle as a pencil” – with these intentions George Eastman started out at a time, when it was all but natural. Because the photograph as we know it today did not exist in 1880 as yet and easy-to-handle cameras not at all. 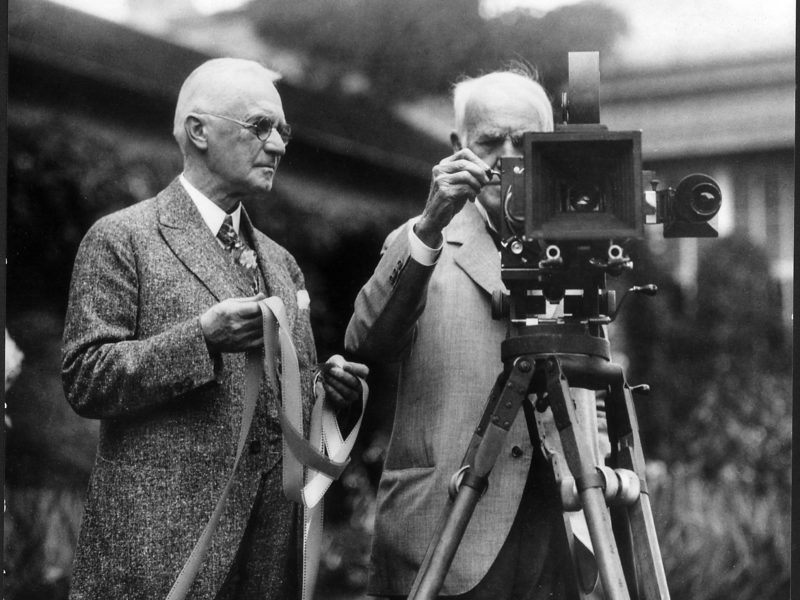 1880 – the year in which George Eastman started the production of photographic plates. George was born on July 12, 1854, as the youngest of three children in Waterville, N.Y. When he was five, his family moved to Rochester. However, his father passed away soon and George had to leave the school at the age of 14, to earn money. He worked for insurance companies and learned accounting in evening classes, so that he could apply for a job at a bank. Eastman was 24, when he wanted to travel to Santo Domingo and take “photographic equipment” along with him: the camera, as big as a microwave oven and a wooden tripod, too. Besides he had to take also a tent to spray the photographic emulsion over the glass plates in the dark before they would be exposed and to process them after, before they would get dry. “Only a mule can carry all this,” lamented Eastman, and each attempt to take a picture cost five dollars then – a huge sum. During the day in the bank, in the evening in mother’s kitchen. There he experimented with gelatin emulsions he was reading about in British professional press. And from that moment on photography had him. From September 1881, he was fully dedicated to his “Eastman Dry Plate Company,” which became “The Eastman Company” in 1889, and finally, in 1892 “The Eastman Kodak Company” in New York. “You push the button, we do the rest” – with this self thought out slogan, Eastman revolutionized the image world from 1888 on, and created the snapshot. The first Kodak camera hit the market. But why in fact, was it called Kodak? “I have always liked the letter K,” Eastman spun a yarn later on. “The K is a strong, piercing letter. I have tried a lot of combinations of words starting and ending with K.” Also the yellow appearance of the later image giant had been determined by Eastman himself. In 1907, Kodak employed already more than 5,000 people worldwide. When on March 14, 1932, George Eastman, then 77, committed suicide because of his severe ailment, the enterprise counted far more than 20,000 employees worldwide. They would count 60,000 after 1946 and 100,000 in 1966, when Kodak’s worldwide revenues were more than four billion dollars. Today, the bright yellow Empire employs only 80,000 people in total in its facilities in Canada, Mexico, Brasil, Great Britain, France, Germany, Australia and in the U.S.A.
Rochester on Lake Ontario. In the 60s, the city of 330,000 inhabitants was booming. One sixth of the population was working for Kodak. 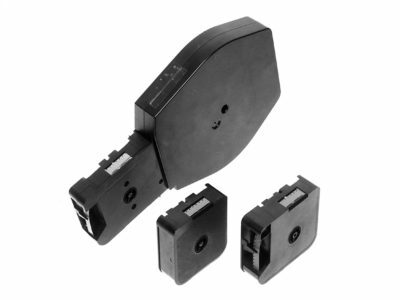 Precision engineers and specialists in optics from around the world settled here because of the clustered precision industry. Among others, 75,000 people born in Germany or descendants of German immigrants. The giant facility counting 86 buildings was equipped with its own network of railways, had its own hospital, sports grounds, a little theater and a wealth of restaurants. The City was granted generous donations by Kodak. He invested 72 million dollars in a university, a music college and a dental clinic. The artistic and scientific life in Rochester was based on Eastman’s patronage. 1889 flexible film first enabled the later invention of the movie camera by Thomas Edison in 1891. 1923 with the introduction of the 16mm reversal substandard acetate-based cine film, the hobby was within amateurs’ means. Cine-Kodak cameras and the Kodascope projector supplemented it. 1924 Kodak movie cameras got a motor instead of an operating crank. 1928 own laboratories in 28 countries facilitated the fast distribution of the 16mm. 1929 Kodak manufactured also soundtrack film then. 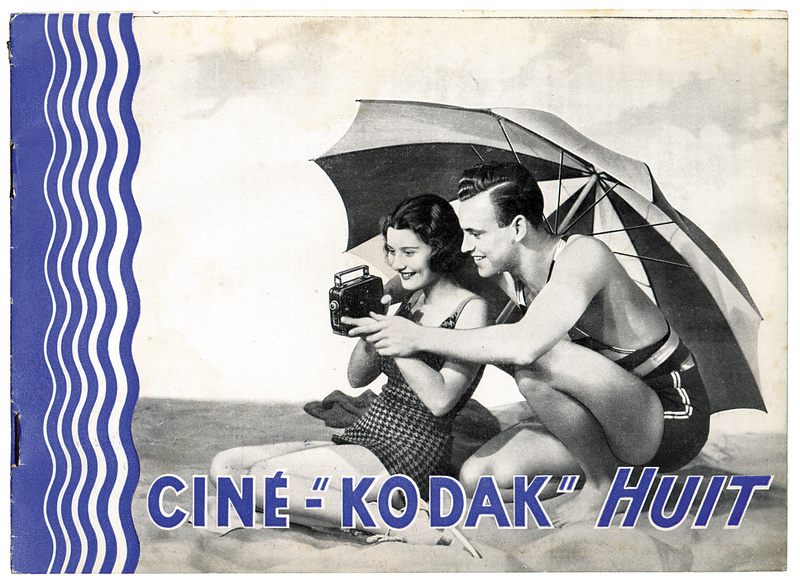 1932 Kodak introduced the 8mm substandard cine film for the amateur, black and white material was put on the market. 1935 introduction of the 16 mm Kodachrome color film. 1936 Kodak brought the 8mm color substandard cine film on the market, also made from Kodachrome material. 1936 a special magazine, the “Cine-Kodak Magazine 16mm,” simplified the insertion of the 16mm film reels in the new camera. 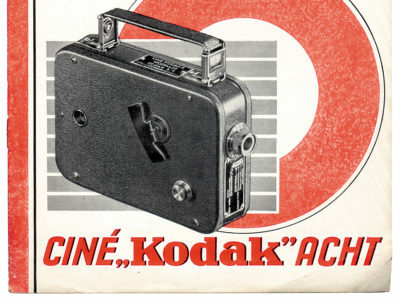 1937 Kodak introduced its first 16mm sound projector with optical sound. 1940 Kodak offered the hitherto open 8mm reels of film also as magazines. 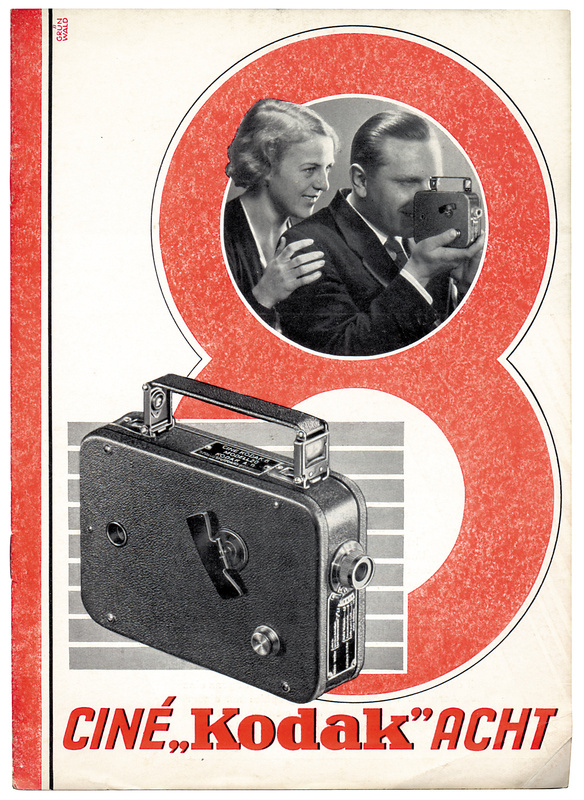 1951 the cheap 8mm Brownie movie cameras entered the market. One year later also the Brownie projector followed. 1959 for the first time the automatic exposure control was built into four 8mm Kodak models and one movie camera got a zoom lens. 1965 Kodak brought out the Super-8 cartridge with already in 1961 improved Kodachrome II material. Because of smaller sprocket holes, about 50% increase of the image surface was achieved. 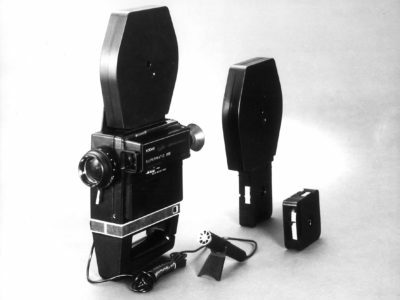 1971 the very fast Ektachrome 169 (Type A) and two so called XL cameras (for: eXisting Light) with extended shutter opening of the rotating shutter were supposed to enable filming at low light conditions. 1973 the pretracked Super-8 soundtrack film in a new, larger cartridge and two matching Ektasound cameras for live soundtrack takes hit the market. 1974 the 200 ft. (60.9 meters) accommodating Super-8 sound film cartridge of more than 13 minutes running time at 18 frames per second taking speed was Kodak’s last innovation for the substandard cine filmmaker.